Being a Christian puts you under the microscope. Sometimes I think TV evangelism is one of Satan's greatest weapons. They put these guys on a pedestal and all of a sudden they get caught with a prostitute and every Christian I know then is under the gun. So you don't think that’s kind of set up? The devil is very smart. He's not gonna come out with the horns and tail but he's gonna come in as the slickest car salesman you ever saw. I've seen some pretty slick pastors on TV but that’s not to say there're all like that, I love …. (a range of different guys etc).. there's a lot of guys I'll sit there and listen to and go ok yer right on, dead down the middle, I got it. But everytime I hear something that goes a little left of centre, you know, what was that? A little to much healing on TV - I don't know about that - it’s a little to showbiz. Alice talks in an interview about being a Christian. .... I'm like 'Hey, I'm Christian, and I'm not going to denounce what I believe.' 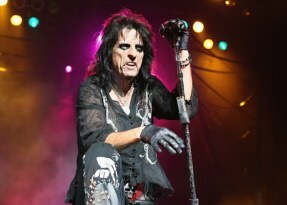 I can be a rock 'n' roll star, a Christian and Alice Cooper." .... 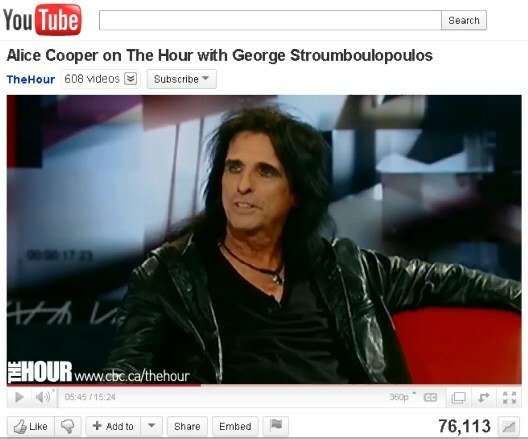 Though some have questioned combining his faith in God with his rock-and-roll background, Cooper doesn't see a conflict. "I'm the first one to rock as loud as I can, but when it comes to what I believe, I'm the first one to defend it too," he said. "It has also gotten me in trouble with the staunch Christians who believe that in order to be a Christian you have to be on your knees 24 hours a day in a closet somewhere. Hey, maybe some people can live like that, but I don't think that's the way God expected us to live. When Christ came back, He hung out with the whores, the drunks and miscreants because they were people that needed Him. Christ never spent His time with the Pharisees." 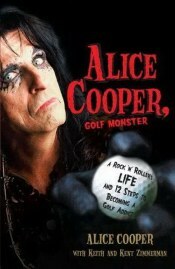 In this tell-all memoir, Alice Cooper speaks candidly about his life and career, including all the years of rock ’n’ roll history he’s been a part of, the addictions he faced, and the surprising ways he found redemption. Alice has thought about this: "As a Christian, I don't declare myself as a 'Christian rock star'. I'm a rock performer who's a Christian. 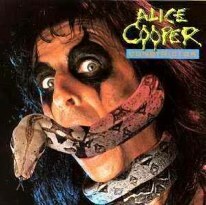 Alice Cooper is the guy who wants to entertain the audience - it happens that he's a Christian. Alice (the character I play on stage) began life as a villain and he remains one. There's a villain and a hero in every Shakespeare play. Alice is no more dangerous than a villain in a cartoon or a Disney film. We have fun with him. He snarls and wears make up. He's punished for his crime and he comes back on the stage in white top and tails. We put on a good show. I've always put limits on Alice because I believe there's a certain amount of Alice that's a gentleman. He'd slit your throat, but he'd never swear at you. And there's always a punchline; he may kill you, but he'll slip on a banana peel. I get right-wing Christians down on me and I always ask them the question: 'If I was doing Macbeth, would it be OK?' And they always say that's Shakespeare so of course. I say that's about four times more violent than anything I do on stage." 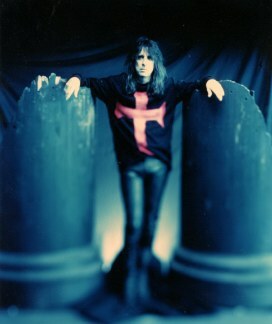 .... On another level, that a shock rocker like Alice who was described as a Satanist in more than one book by an evangelist in the '70s and '80s (evangelists who probably knew just enough about rock 'n' roll to want the young people in their church to avoid it) should embrace faith and continue in his chosen profession is seen by some as a little strange. .... You don't have to look too far on the internet to find some blog by some well-meaning Christian decrying Alice and his profession of faith. However, there can be no doubt that what he describes as "the truth" is something that he clearly believes in and which he is living out in ways that are tangible and where his influence and musical success allow him to realise things that others of us would only dream of and which are changing lives in American inner cities. Alice won't be fitting any time soon into the requirement of appearance and working life suitable for a Christian that might be offered by a typical conservative churchgoer in a fellowship somewhere near you. Nevertheless, others whose opinion may matter more said that the key things were to love God and to love your neighbour as you love yourself. On that scale, Mr Cooper is living out his faith pretty well. 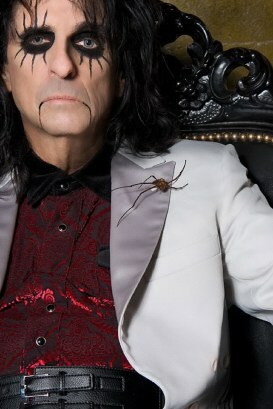 August 2, 2011, Santa Monica, CA: Alice Cooper’s widely anticipated new album, Welcome 2 My Nightmare, will be released September 13, 2011, by Universal Music Enterprises. 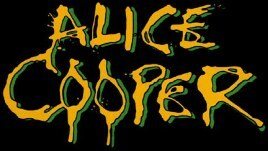 Recorded with longtime collaborator Bob Ezrin, who produced the original multi-platinum Welcome To My Nightmare album in 1975, the album picks up right where they left off, with Alice trapped in his own warped mind.